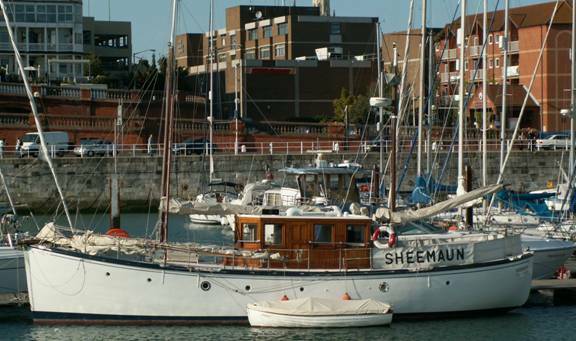 Built in 1935 by Noble & Co of Fraserburgh, SHEEMAUN is a gentleman’s motor yacht. 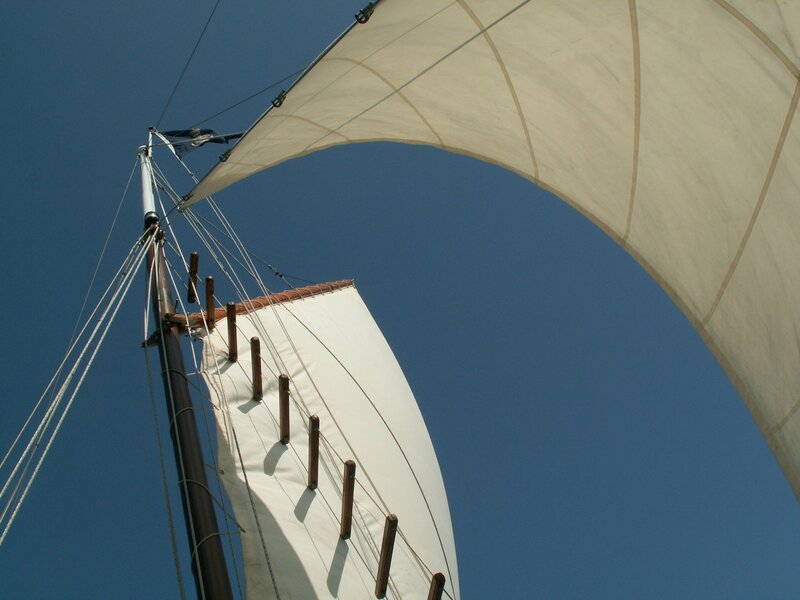 The hull is carvel built of oak frames with pitch pine and larch planking. 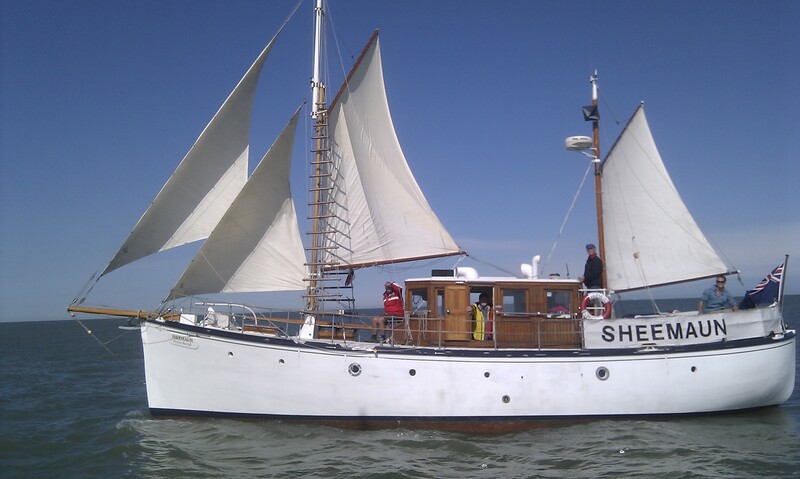 She is ketch rigged and currently has two Beta Marine Diesel engines installed. 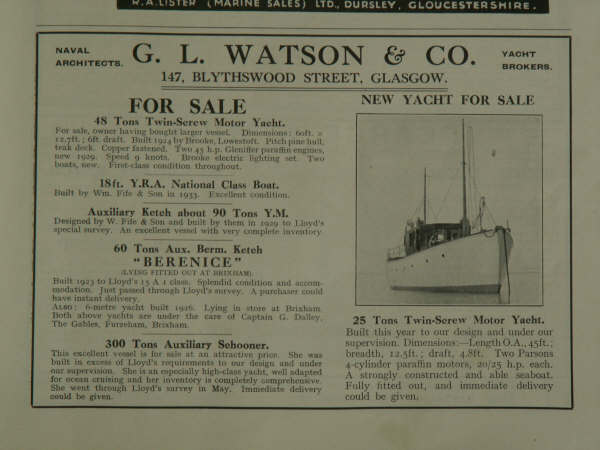 In 1939, SHEEMAUN was registered to Lt Cmdr R H Calvert-Link of Hinton Buildings, Southampton, but in the same year she was requisitioned by the Royal Navy. 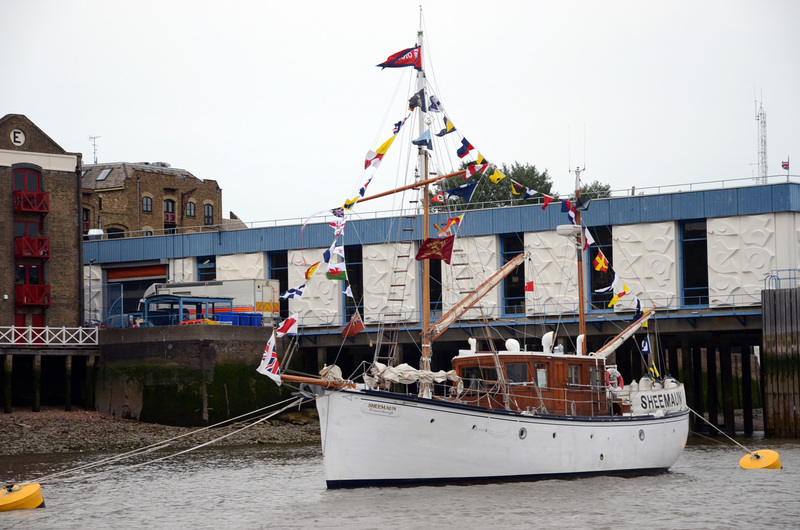 The MOD HM Naval Base Portsmouth have confirmed that SHEEMAUN was assigned to the Thames Auxiliary Pool at Cliffe (North Kent) where it is almost certain that she would have been engaged in 'clandestine duties'. 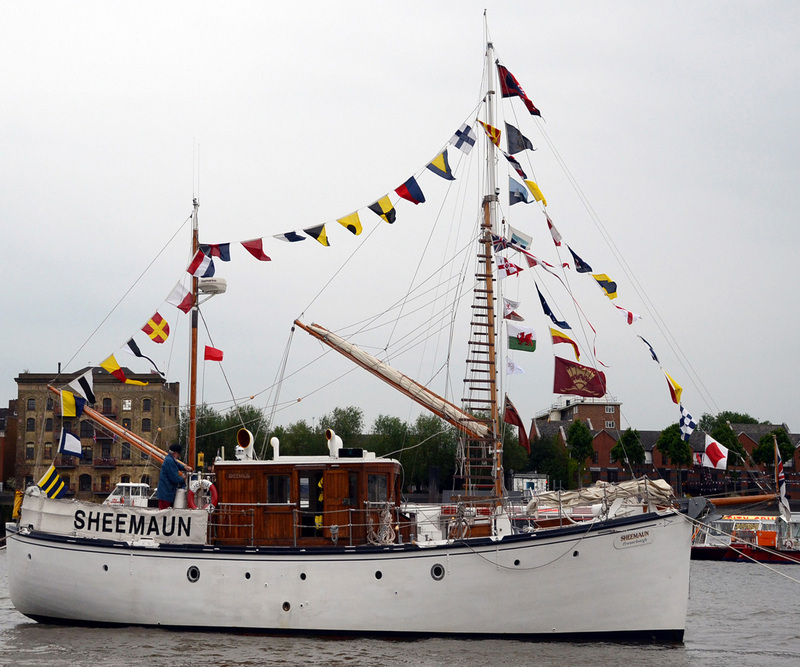 SHEEMAUN was laid up on 6 November 1945 and then passed to the Department of Sea Transport (Merchant Navy), being sold out of service in 1947. During WWII 'Sheemaun', the Royal Naval History Unit at Portsmouth has confirmed 'Sheemaun' was armed with two Hotchkiss Heavy Machine guns, they were pretty nasty things with a range of 4,500 yards and capable of taking out a light tank or an Eboat! From 1965 to 1972, SHEEMAUN was registered to T W H Burton Esq. 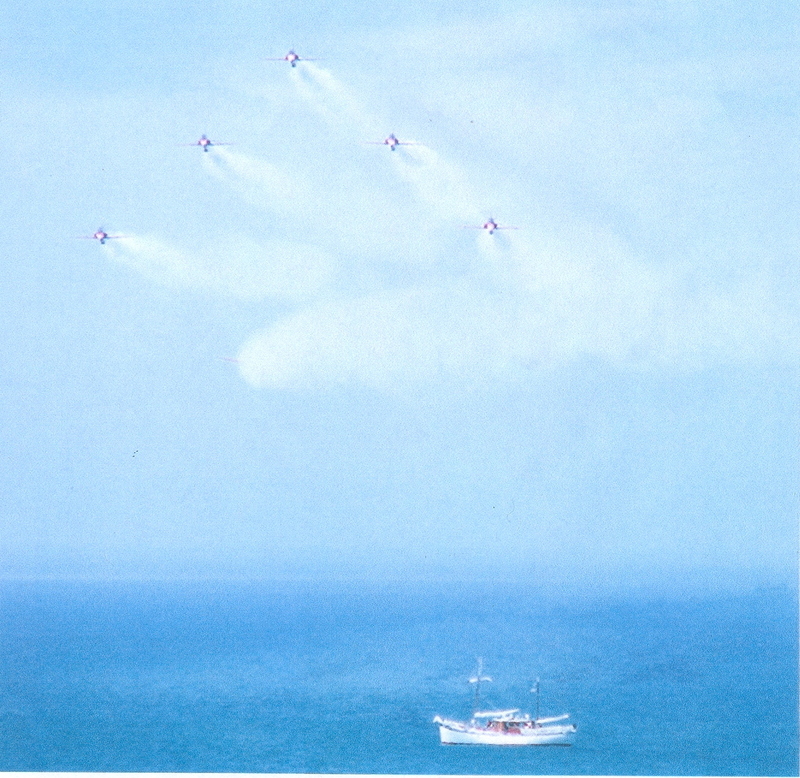 She was then owned by Rear Admiral Gordon Gray CB, DSC from 1972-1981. 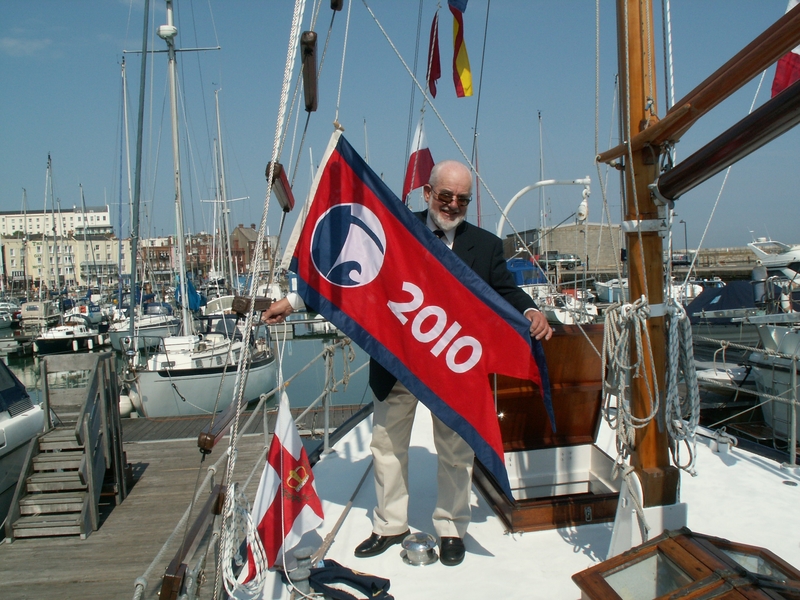 With his son, Nick Gray, he cruised SHEEMAUN extensively on the South Coast, East Coast, North French Coast, Belgium, Holland, Germany and to the Baltic, including Denmark. 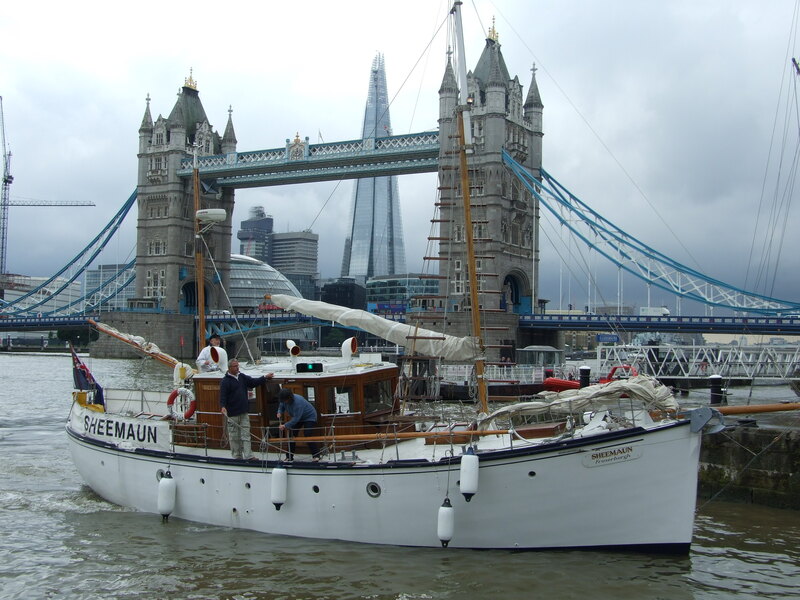 In 1981, Lt Cmdr Ian Pearson of Pangbourne Nautical College purchased SHEEMAUN. Ian Pearson cruised SHEEMAUN extensively from Upper Thames - Lower Thames - South East Coast - South Coast - South West Coast - North French Coast - Normandy Coast - Seine to Paris - St Malo - Channel Islands taking over the years many scores of cadets, six at a time, for hands-on sea going experience for a week or more and changing crews wherever there were connecting train, ferry, or bus services. 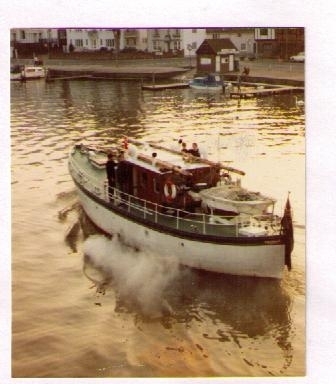 She was acquired by her present owner in 1987. 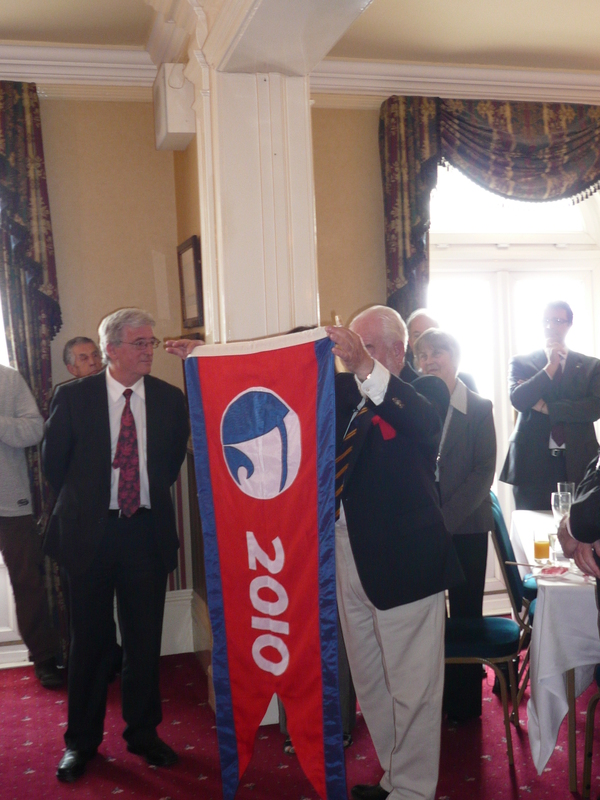 The vessel had a major refit between 2001 and 2004 but more than 80% of the original vessel was sound and was retained. 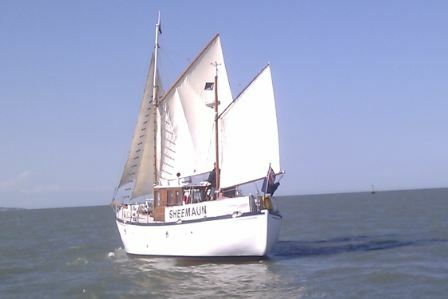 Since then, SHEEMAUN has featured in picture postcards, on a jigsaw puzzle, in yachting magazine advertisments and is based in Ramsgate Royal Harbour. 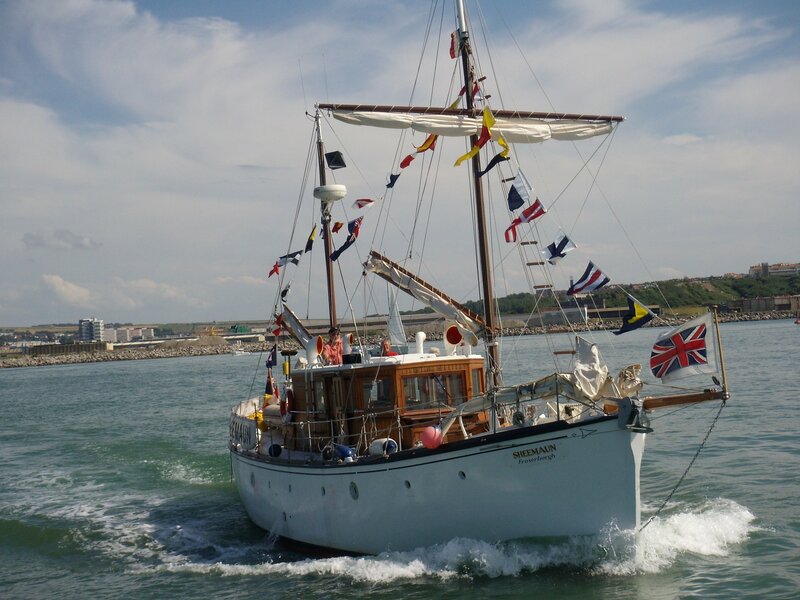 She took part in the Portsmouth International Fleet Review in 2005 and was invited to the 2008 Brest International Festival of Classic Vessels. 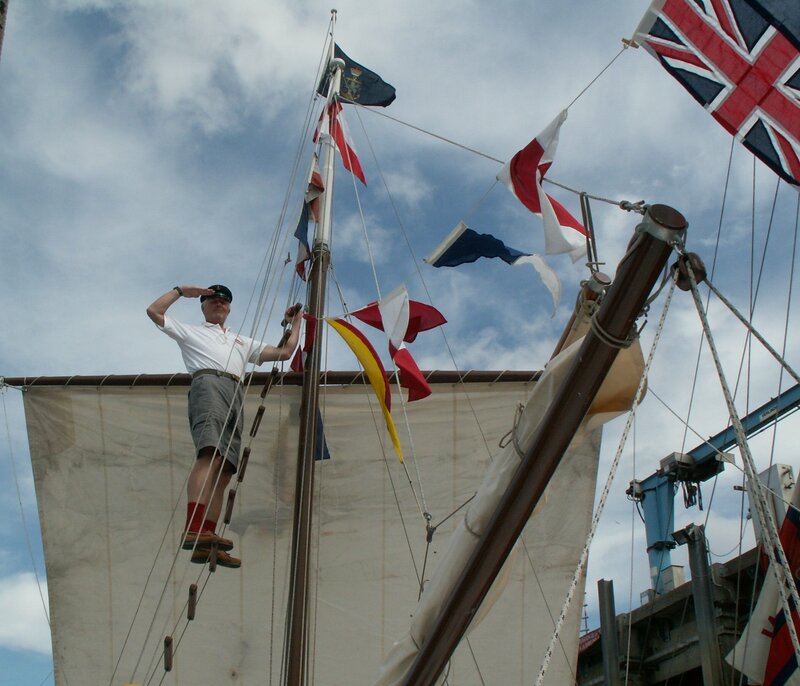 Awarded National Historic Ships' Flagship of the Year.